Taix French Restaurant has been a Los Angeles Downtown area landmark since 1927, and has long been known for its generous portions at moderate prices. "The hunt for the perfect Easter Sunday is over! Join us this weekend for holiday specials alongside our regular menu. Reservations required." "@VinScullyTrib Thanks for recommending us! " "Where your dining dreams come true. " "Hop in for a very special Easter Sunday! Reservations are required." Frog legs are awesome and so is everything else I've tried. Great prices for what it offers. Yes, I'd like to receive news from Taix French Restaurant. 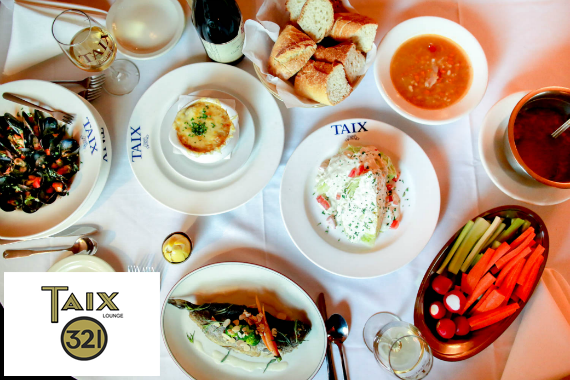 Sign up for the Taix French Restaurant Newsletter!